Some telling research was done by Dr Claire Matthews of Massey University that highlighted the Kiwi DIY (Do It Yourself) mindset, and the challenges that poses for financial advisers. The research was specifically on “KiwiSaver and Retirement Savings”, and explored some of the issues and attitudes of Kiwi’s. While the research was KiwiSaver focused, it raised issues pertaining to financial advice in the wider context. Retirement savings are clearly a major issue for the nation given the current projected population changes will have 1 in 5 New Zealander’s over the age of 65 by the year 2031. In 20 years then a fifth of the population will be retired, or contemplating imminent retirement. So what was revealed? In brief, what came through strongly was the “reluctance to make use of financial advisers, with the advice of family and friends often preferred”. A mere 4% of those surveyed indicated they had joined KiwiSaver on the basis of a financial advisers recommendation. Interestingly though, some 11% indicated that their choice of KiwiSaver provider was recommended by their financial adviser. Clearly a proportion are joining KiwiSaver before seeking advice it would seem. But more are joining and still not using financial advice. Perhaps the adviser is unnecessary? High proportions claimed alternative investments of some significance, with nearly 28% claiming to hold investment property, and over 45% were holding cash and/or term deposits. A further third had workplace super schemes already. Presumably mostly all done without financial advice also. 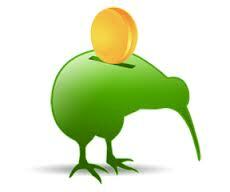 Undoubtedly the big motivator for the DIY investors as far as KiwiSaver is concerned are the scheme incentives. Some 28% cited “getting the government incentives” as their primary reason for joining KiwiSaver in the first place. The features of KiwiSaver then rated as important by the consumers had nearly 90% claiming the $1,000 kick-start as an important element, followed by about 85% or so saying the ongoing contribution tax credits were important. A little further back some 80% claimed the employer contributions as important, and a long way behind that the first homeowners subsidy was deemed important by about 30% of members. This is all interesting perhaps, but the big question is what does it mean as far as the role of the financial adviser is concerned? KiwiSaver has critical mass, and it is here to stay. Retirement funding is a looming societal issue, that will not disappear anytime soon. The Kiwi DIY attitude is a significant factor already, which further challenges the issue of advisers being able to charge directly for their expertise. Add to that, pressure to lower costs, commission and charges of any form within KiwiSaver schemes will only increase in the short to medium term. 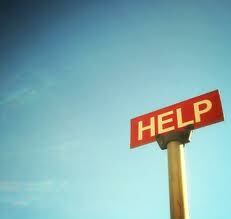 So there are undoubtedly issues for financial advisers to work with and resolve. As the main source of information advisers are rated number 1 by about 19% of the surveyed population. Nearly the same as was “books, newspapers and/or magazine articles”. Well done us – we are more informative than the local rag to the public on financial matters! Just. Some 27% are sourcing most of their financial information from friends & family, and a further 17% sourcing it directly from the internet. I’d suggest that as content marketing increases, the internet’s proportion as a primary source will rise – probably at the expense of both advisers and newspapers. There are clearly a number of challenges for financial advisers, not least of which is how to make money (if at all) from advising upon KiwiSaver. Most importantly, the big challenge presented by the Kiwi DIY approach shown within KiwiSaver so graphically is that we first have to establish ourselves as the primary reliable and credible source of financial information to our prospective and existing customers. Before we can attempt to work out how to provide KiwiSaver advice in a commercially viable manner, or even before we try to convince the market on the “value of the advice component”, we actually have a credibility issue. The hard yards have to be put in to establish the financial adviser as the primary information source. Then, and only then, will there be sufficient people willing to consider the value of your advice. Then there might be a chance of putting together a viable business proposition around advice on KiwiSaver.Like this? Then share it with others…or visit www.strictlybiz.co.nz for loads more useful and interesting information.